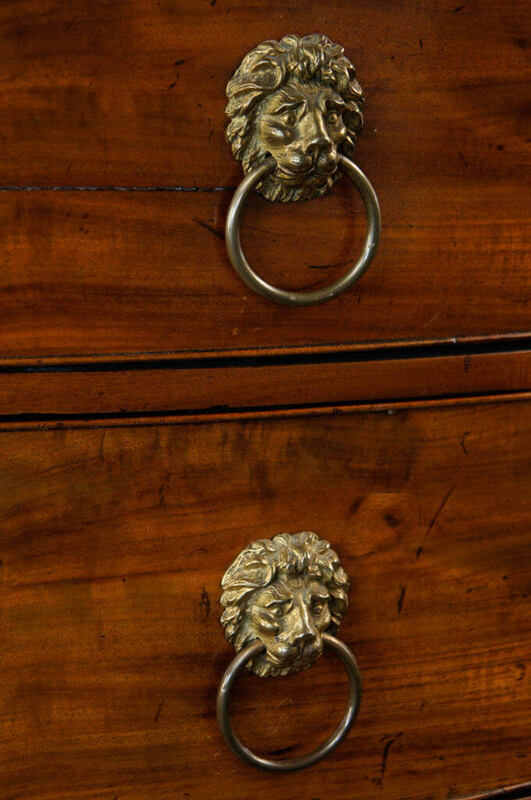 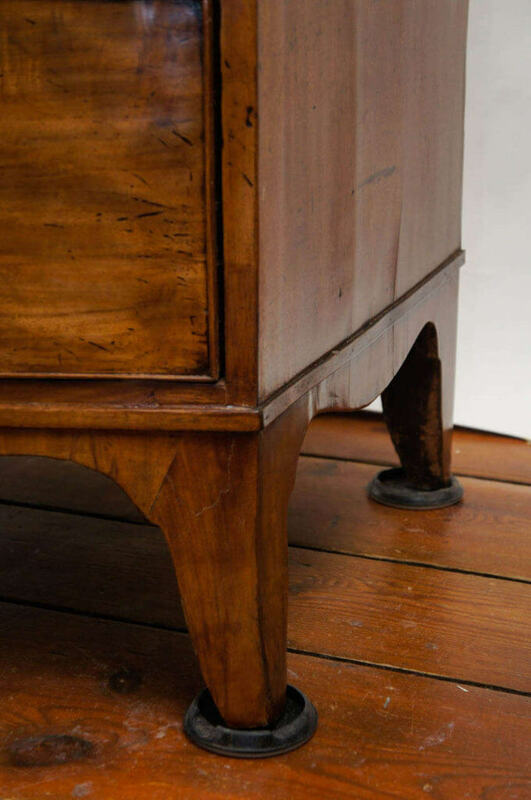 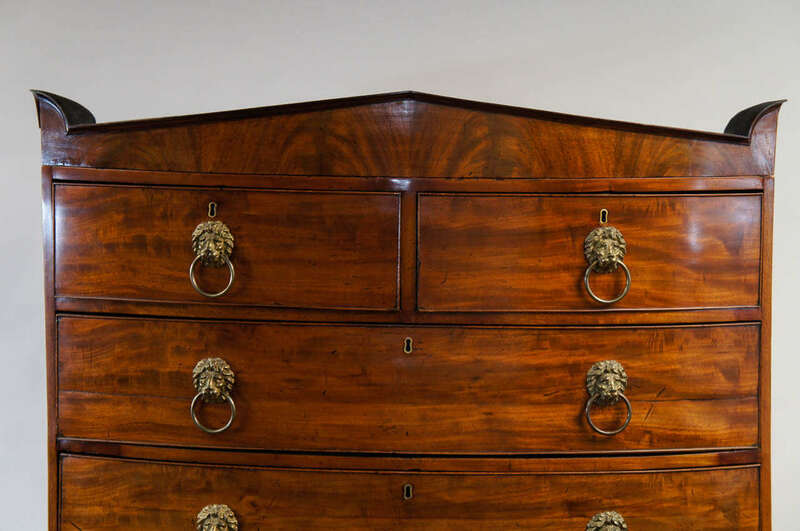 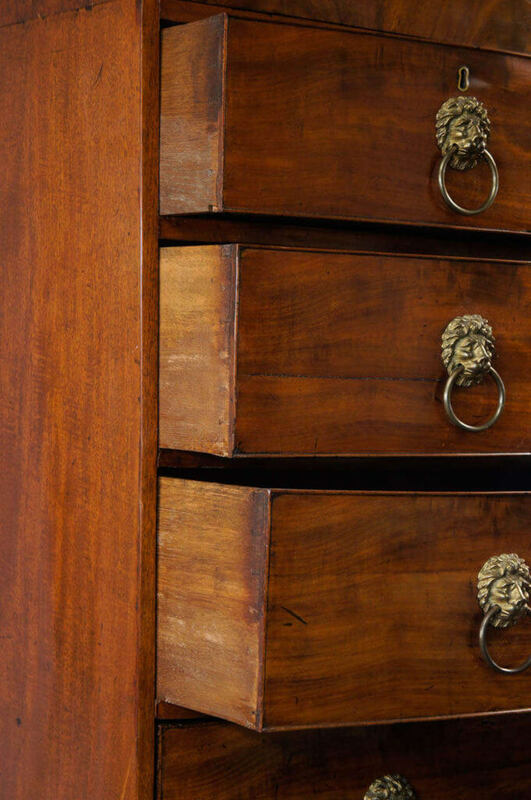 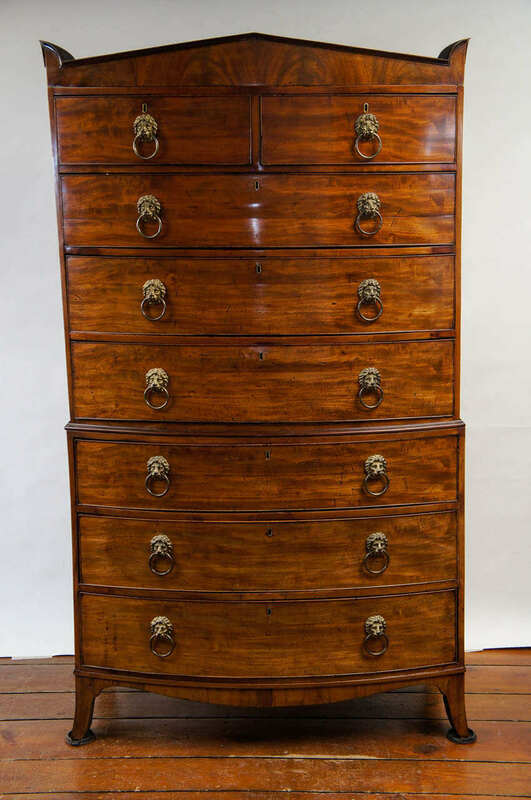 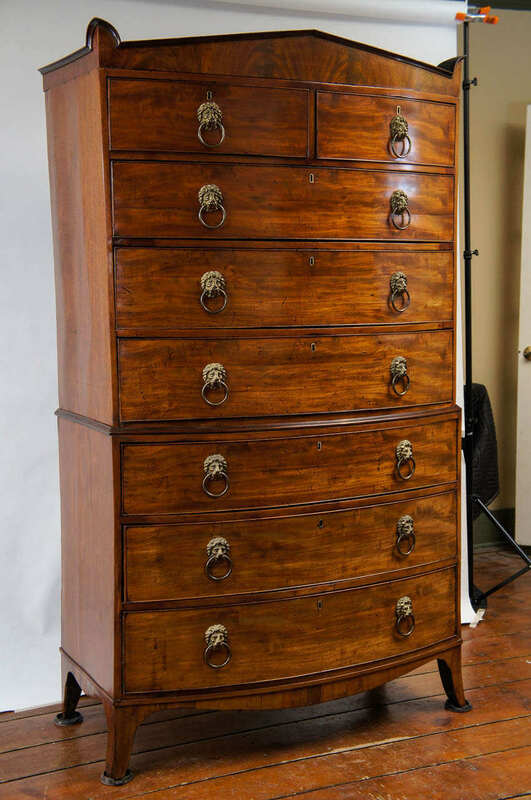 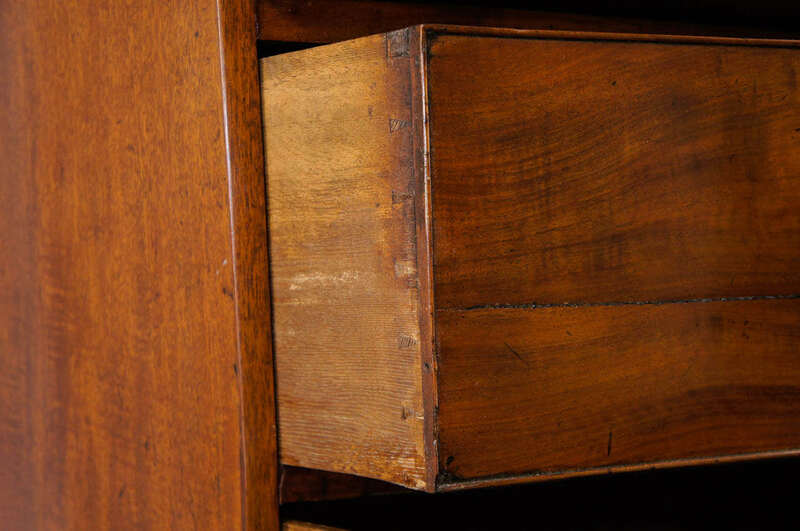 English, circa 1810, mahogany bow-front chest on chest of significant size having neoclassical cornice below eight drawers with original lion's head ring pulls. 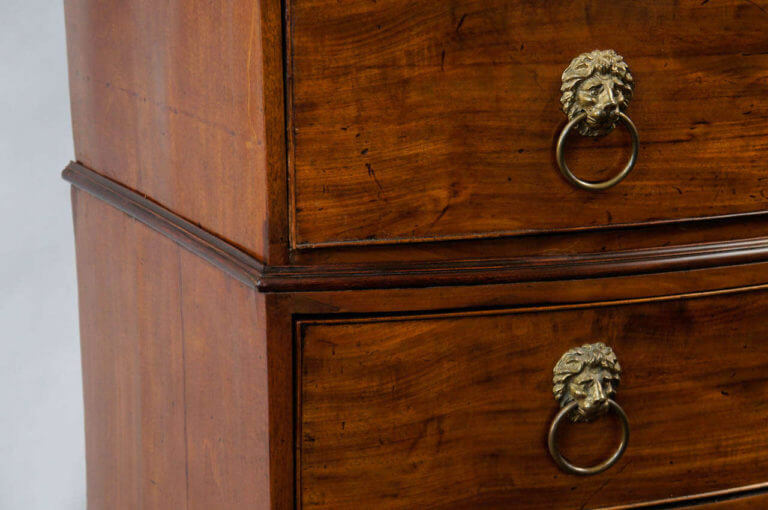 Very elegant piece of exceptional quality and design. 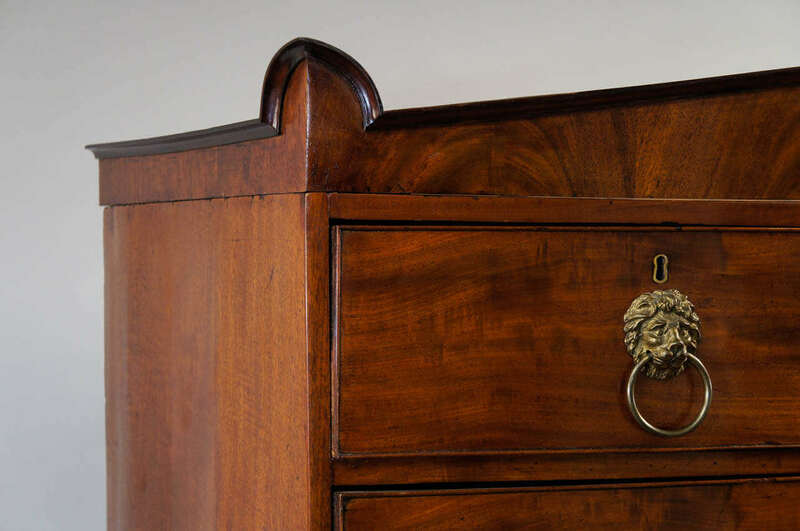 English, circa 1810, mahogany bow-front chest on chest of significant size having neoclassical cornice below eight drawers with original lion’s head ring pulls. 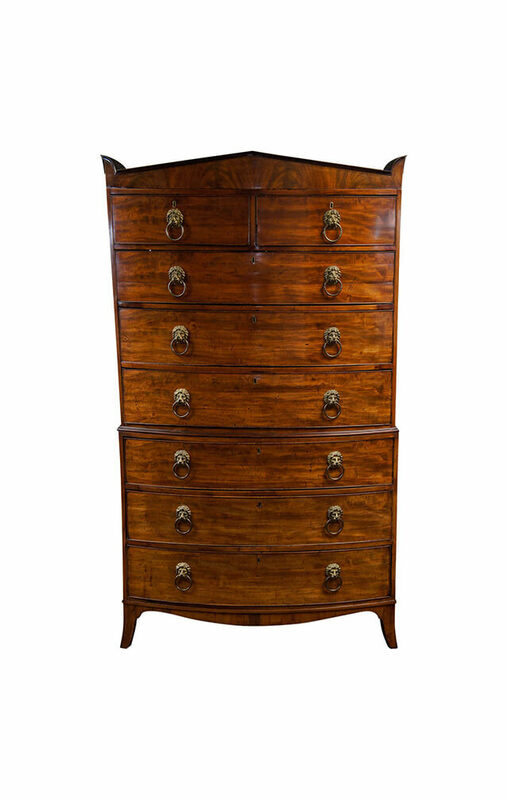 Very elegant piece of exceptional quality and design.